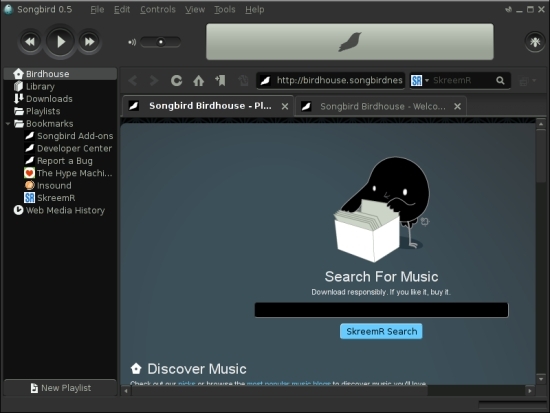 Songbird is available in the GNOME applications menu. 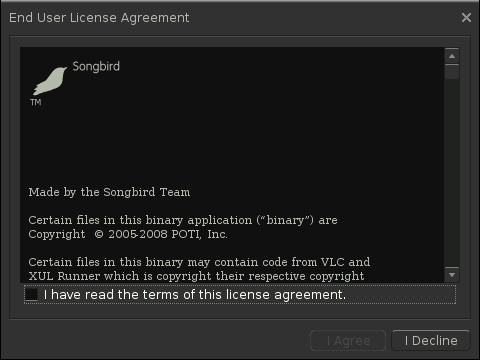 During the first start you'll see this window which contains the license agreement - accept it if you agree with it. 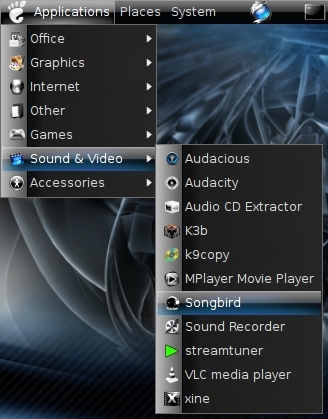 The next window contains the setup options. 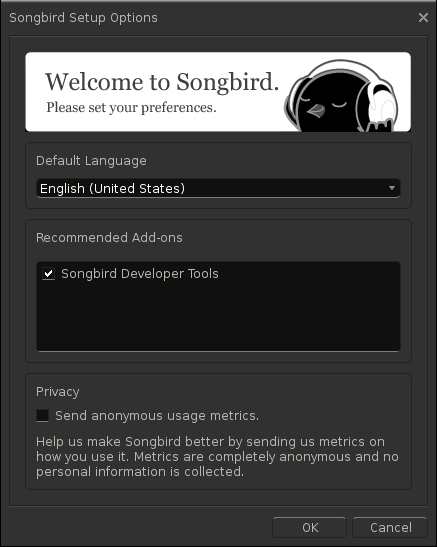 Select your preferred language, choose if you want to install the developer tools and if you want to send anonymous usage metrics. 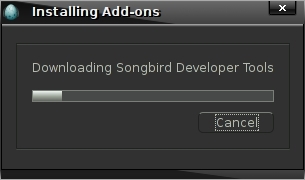 If you chose to install the developer tools you'll see this window. During the start you might see this window - don't worry about it. It seems to work without the chrome registration - I didn't saw this again on following application starts. 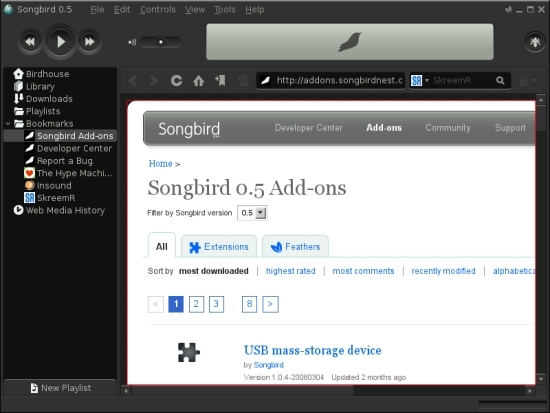 There are several add-ons available for songbird. 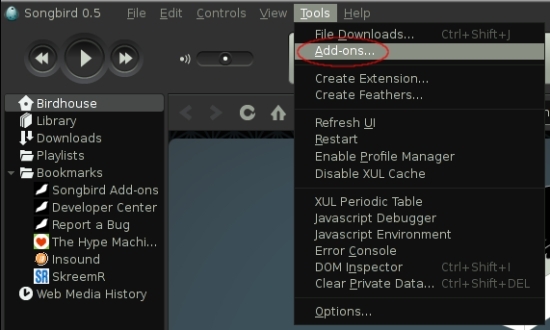 Click on "Tools" in the main menu and afterwards on "Add-ons". 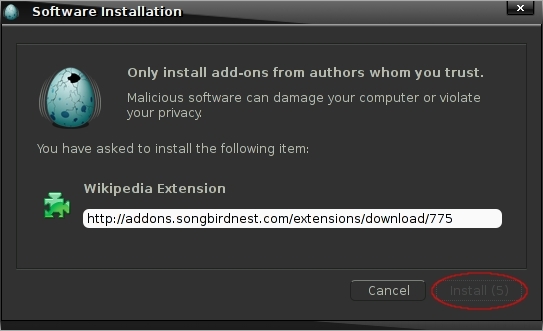 Click on "Add-ons" within the Songbird preferences window and afterwards on "Get Extensions". 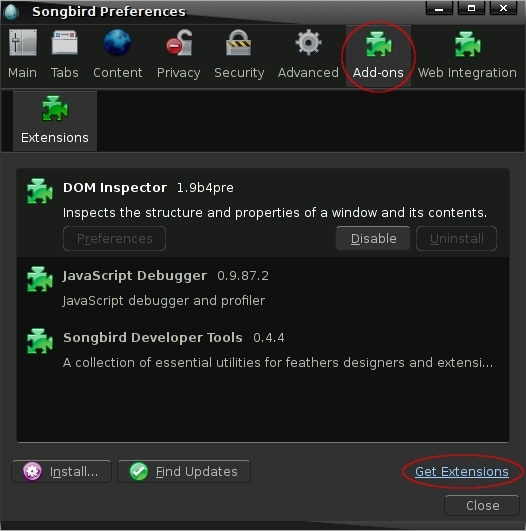 Now you'll see a list of available add-ons within Songbird's main window. 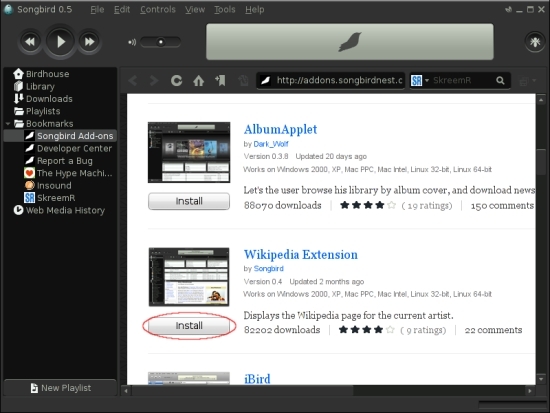 If you've found an add-on that you want to install click on the corresponding "Install" button. Wait a few seconds and click on "Install". 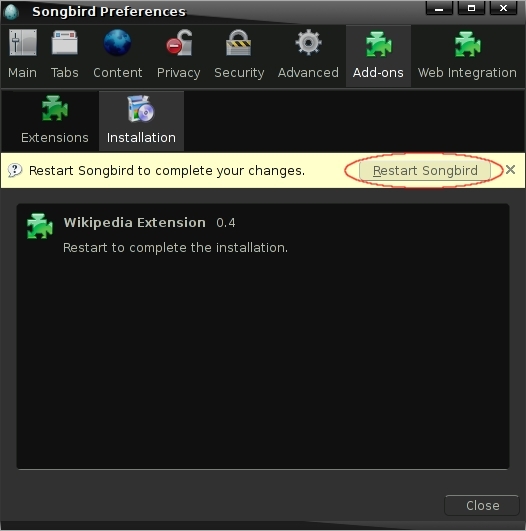 The addon will now be installed - afterwards click on "Restart Songbird" to make the new add-on available. Yeah, please do tell what that theme is. It's very nice.